No matter the reason behind it, if you want your car windows tinted you cannot ignore legal rules and in the UK for all front windows it is at least 75% of light through (cars 1985 or later). If you break the rules you could get a prohibition notice, penalty notice or even a court summons but, so far, tinted windows are not included into MOT testing here in the UK. Quite contrary to our American friends with the new window tinting law in New York State that came into effect in January 2017 and requires window tint testing during annual motor vehicle inspection. Are there any other things you should be aware of before you choose your favourite tint shade? - Reduced driver visibility – think from a pedestrian point of view, even the lightest shade on front windscreen can reduce eye-contact with the driver. Although you, as a driver may think this is actually good, think that as a pedestrian you would appreciate to see if a driver is focused on driving or maybe on texting before you cross a busy street of London. - Insurance policy – it’s always good to check beforehand with your insurer as changes to your vehicle such as tinting car windows may affect your premium or even ability to get cover. The latter applies to buying a second-hand car with pre-tinted glass. - The colour of your car interior– remember that dark interiors appear darker through tinted windows and from the outside may look darker than their actual shade. 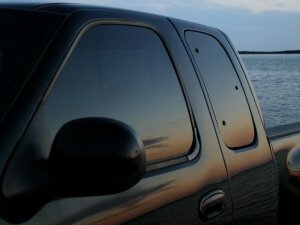 - If you made your decision and cannot wait to have your car windows tinted, remember to ask for more than one quote and choose a professional company that use specialist products and know their techniques to ensure weather resistant, best quality tinting results that will last for years. There is one significant advantage of having your car windows tinted, it reduces UV radiation and we know how harmful it is not only for ourselves, our skin and eyes, but also for our car interiors. For people who spend their life behind a wheel and also for all regular car users with their children sitting at the back, it is a feature worth to consider. If you’re thinking of having your car windows tinted in our London workshop please don’t hesitate to contact us. We’d love to discuss your needs in detail.